Sir Tony Baldry MP has expressed concerns about the level of traffic and disruption from shoppers at Bicester Village. Following a number of emails from Bicester residents expressing concern about the level of traffic and disruption from people visiting Bicester Village over the weekend, Sir Tony Baldry has written to the Chief Executives of the County Council and District Council, Thames Valley Police and Bicester Village to request a roundtable meeting in the next few weeks to discuss solutions to the traffic issues. “I can well understand local residents getting increasingly angry at this disruption of their lives not least because it doesn’t seem to get better and of course with the building of the Kingsmere estate there is in any event much more local traffic using the road between the M40 and Bicester town centre. “I know that Bicester Village have been doing much to tackle this problem. 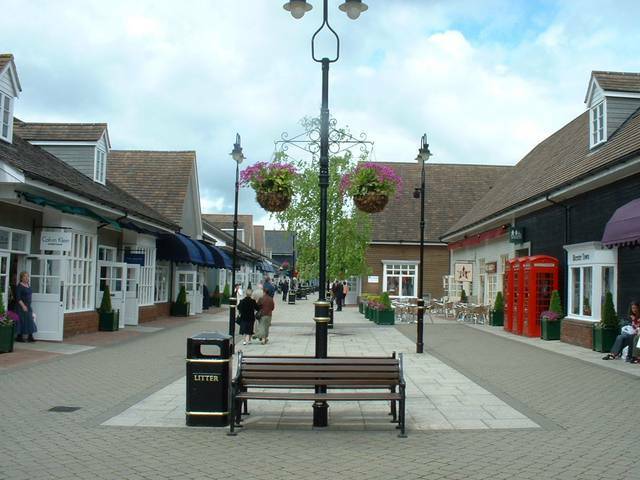 They have built multi-storey car parks, they encourage people to come by train but the reality is that Bicester Village is a very popular retail destination and becoming more popular not just in the UK but throughout the world. “We have not yet started Christmas and we have the Boxing Day and New Year sales ahead of us. “I very much hope that it will be possible to organise a roundtable meeting involving the COunty COuncil as the highways authority, Cherwell District Council as the local planning authority, Thames Valley Police and Bicester Village to examine what more can be done. “We simply have to manage this traffic better and what is clear is that Bicester Village cannot do this on their own”.